She professed faith in Christ and attended Feathersburg First Church of God. More recently, she attended Campbellsville Separate Baptist Church. Faye was a retired mill worker and homemaker. She united in marriage to Harry I. Stants April 1, 1972 and he preceded her in death November 28, 1998. 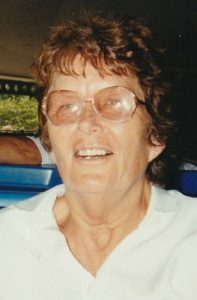 She was an avid mushroom hunter and loved spending time with her family. 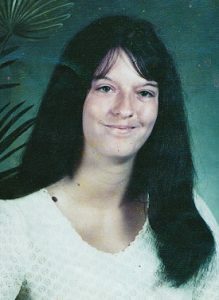 She is survived by one son, Brian C. Stants and wife, Becky of Greensburg; one step-daughter, Norma Schaffer and husband, Bill of Lakewells, Florida; two grandchildren: Brandon Spurling and wife, LaTisha and their children: Alex, Scarlett and Zaeleigh, and LaShay Clark and husband, Alan of Campbellsville; one great-grandson, Isaac Clark; one brother, Alfred Hughes and wife, Opal of Franklin, Indiana; special friend, Mildred “Mickey” Druin; several nieces and nephews and many other friends and relatives. She was also preceded in death by nine brothers and five sisters: Zelma Mae Gardner, Bonnie Sue Harris, Juanita Calhoun, Mary Lesley, Lillie Hughes, Sylvia Hughes, John Hughes, Bill Hughes, Jimmy Mike Hughes, Moore “Dugan” Hughes, J. B. Hughes, Delbert Lee Hughes, Vernon Ray Hughes and Rufus “Bootie” Hughes. Ronnie Rainwater of Campbellsville, son of the late Walter Rainwater and Hattie Harrison Rainwater, was born September 4, 1950, in Campbellsville, Kentucky. He died at 10:00 P.M., Sunday, April 21, 2019 in Campbellsville, Kentucky at the age of 68. 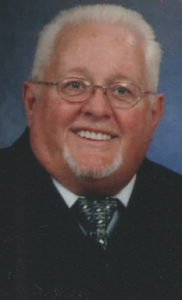 He professed faith in Jesus Christ and was a member of Elk Horn Baptist Church and had previously proudly served in the children’s church ministry, as an usher, parking visitors cars, whatever necessary to support the mission of Christ’s Church. 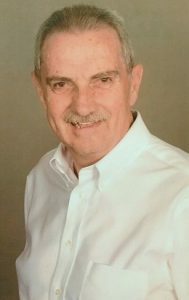 Ronnie was a dedicated employee of Wholesale Hardwood Interiors for over 30 years. He loved working and considered many people there part of his extended family. He was united in marriage and survived by his beloved wife Helen Ann Wood August 12, 1972. She was his soulmate, best friend, and his world. He is survived by one son: Jason Keith Rainwater and wife, Victoria; two grandchildren: Alexander and Zachary, all of Lexington, Kentucky. Ronnie loved spending time with his family, especially his grandchildren and being involved in their lives. He is also survived by five sisters: Martha Corbin, Carolyn Bright, Arlene Herron, Edith Humphress and husband, Billy of Campbellsville and Joanna Gilbert and husband, Bill of Acworth, Georgia. He was preceded in death by one brother and one sister: Douglas Rainwater and Marilyn Poff. He was also surrounded by many wonderful extended family members from his wife’s family in addition to his sibling’s families. That extended family were also the best of friends. They spent weekends, holidays, and took many cherished vacations with one another. Ronnie never met a stranger, nor made an enemy. He appreciated the time spent with each person he was blessed to meet. All of Ronnie’s family and friends loved him for his integrity and tremendous faith in Jesus Christ, his example as a father, as a husband, his work ethic, and his generous spirit toward others. He will be greatly missed, until which time we are reunited with our Brother in Heaven. 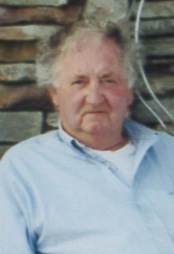 Thomas Sapp, Jr., the son of the late Thomas Sr. and Edith (Cave) Sapp was born Sunday, September 27, 1942 in Campbellsville and departed this life on Friday, April 19, 2019 in Campbellsville at his home. He was 76 year, 6 months and 24 days of age. He was the owner of Sapp’s Antiques in Campbellsville for over 40 year. 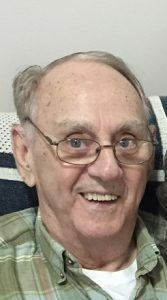 He was a Veteran of the United States Navy and was a former truck driver and enjoyed traveling going to antique auctions near and far buying and selling. Besides his parents, he was preceded in death by a brother: Terry Sapp. Survivors include His wife: Debbie (Maynard) Sapp of Campbellsville; two daughters: Dawn Thompson and husband Chris and Dana Sapp all of Campbellsville; a brother and sister-in-law: Mickey and Shirley Sapp of Campbellsville; a sister and brother-in-law: Sherri and Dr. James Angel of Campbellsville; two grandchildren: Peyton and Dara Rucker; six great-grandchildren: Kaydence, Jordan and Kambry Tungate, Jaydon, Zachary and Braydon Rucker and a host of nieces, nephews and other relatives and friends. The funeral service for Thomas Sapp, Jr will be Wednesday, April 24, 2019 at 11:00 A.M. in the chapel of the L.R. Petty Funeral Home with burial to follow in the Lebanon National Cemetery with full Military Honors by the Marion County Veterans Honor Guard. Bro. Jay Damron will be officiating. Family requests visitation from 5-8 P.M. on Tuesday at the funeral home. He was also preceded in death by five brothers, one sister, one nephew, one brother-in-law and his mother-in-law and father-in-law. 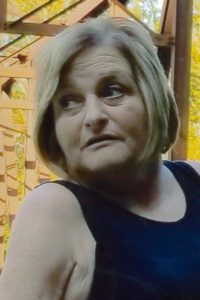 Julia F. Burris, the daughter of the late Coakley and Marcella (Janes) Burris, was born Tuesday, February 14, 1956 in Green County, KY and departed this life on Wednesday, April 17, 2019 in Louisville at the Hosparus Inpatient Care Center. She was 63 years, 2 months and 4 days of age. 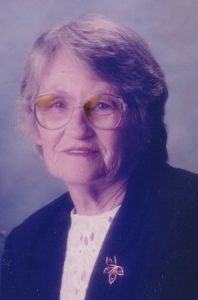 She was a Veteran, having served in the United States Army as a Medic and was of the Methodist Faith. Julia enjoyed gardening, traveling, spending time with her family and friends and her dogs, Kimber and Bear. Besides her parents, she was preceded in death by a sister: Sheila Burris and a brother who preceded her in death in infancy. Survivors a son and daughter: William “Willie: Wilson and wife Kellie and Leah Simpson, all of Campbellsville; a brother: Steven Burris and wife Sue of Magnolia; three grandchildren: Brylee, Braxton and Blaklee Wilson; a special friend: Terri Burris and a host of other relatives and friends. The funeral service for Julia F. Burris will be conducted Monday, April 22, 2019 at 11:00 A.M. in the chapel of the L.R. Petty Funeral Home with burial to follow in the Lebanon National Cemetery with full Military Honors by the Marion County Veterans Honor Guard. Visitation from 5-8 P.M. on Sunday at the funeral home. 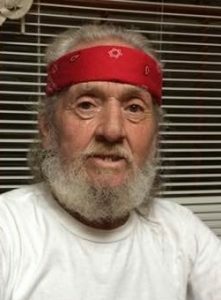 Robert W Moore of Columbia, Kentucky, formerly of Lake Orion, Michigan passed away peacefully at his home on Monday, April 15, 2019. Bob was born on January 26, 1942 in Cumberland, Maryland. Bob is survived by his wife of 49 years, Shirl, also of Columbia, Kentucky and his daughter, Bobbi Moore of Hixson, Tennessee. He is also survived by his special niece, Terry Wold, her husband, Dennis and their children as well as numerous other nieces, nephews and cousins. He was preceded in death by his mother Eleanor (Harris) Moore, his father John Moore, Sr. and brother John “Jack” Moore, Jr. The family chose cremation and memorial services will be scheduled at a later date. The family wishes to thank the dedicated staff of Hosparus Health Green River in Campbellsville, Kentucky. 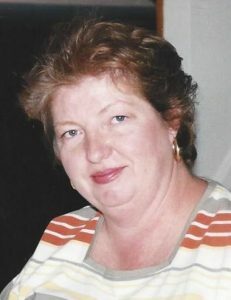 In lieu of flowers, memorial contributions may be made to Hosparus Health Green River, 295 Campbellsville Bypass, Ste. 5, PO Box 4134, Campbellsville, KY 42718.